As reported earlier,1 the Institute for Creation Research recently broke ground on its Discovery Center for Science and Earth History. This is the culmination of a long vision to reach younger generations who are leaving the Christian faith because of the myth that science disproves the Bible. The Discovery Center will showcase the wealth of scientific evidence affirming the biblical account of origins and Earth history. Special speakers at the groundbreaking ceremony on April 21, 2017, included ICR CEO Dr. Henry Morris III, Board Chairman Dr. Richard Bliss, Director of Physical Sciences Dr. Jason Lisle, Director of Donor Relations Henry Morris IV, Beck Group Managing Director Kip Daniel, and First Baptist Dallas Senior Pastor Dr. Robert Jeffress, who offered the dedicatory prayer. Beck, the international architectural firm, has worked with ICR over the past few years to put together the construction plans. The renowned firm Leisure and Recreation Concepts, Inc. (LARC), founded by Michael Jenkins, is designing the Center’s cutting-edge exhibits. This world-class facility will feature interactive exhibits and a state-of-the-art planetarium with 3-D imagery designed by Dr. Lisle. 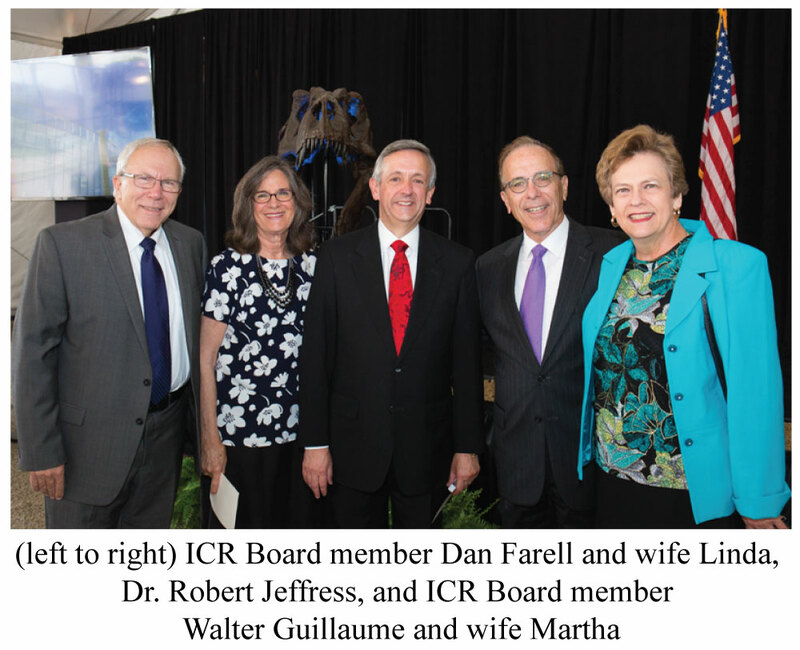 ICR is in a unique position to initiate this venture because it employs the leading science research staff dedicated to the question of origins from a biblical perspective. ICR scientists have explored some of the most challenging issues of faith and science, and their research will be presented in innovative and engaging ways in the exhibits and planetarium. The exhibits will be designed so every level of visitor can learn and grow from the layers of information that will be available. The Discovery Center will be a resource for all who might want to gain a confident knowledge that the Scriptures are both trustworthy and accurate in every detail. Although enough funds have come in or been promised for construction to begin, around $5,000,000 more is needed to finish the construction and complete the exhibit halls. 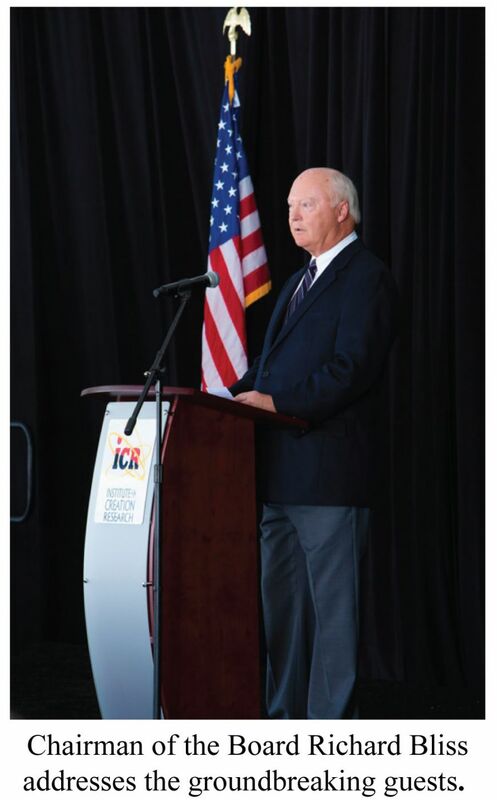 There is about $1,300,000 left in the generous $4,000,000 matching gift that was granted to ICR. During the remainder of this calendar year, gifts for the Discovery Center will be doubled. More information about supporting this project is available at ICR.org/discoverycenter. Long after many of us have completed our assignments here on Earth, God will use this Discovery Center to change and challenge the lives of thousands over the decades ahead. ICR Breaks Ground for New Discovery Center. Creation Science Update. Posted on ICR.org April 21, 2017. Article posted on April 26, 2017.